A newly amended lawsuit alleges that weeks before Charleena Lyles was fatally shot by Seattle police, the nonprofit agency Solid Ground failed to report to law enforcement a playground incident in which she allegedly threatened children with a knife. 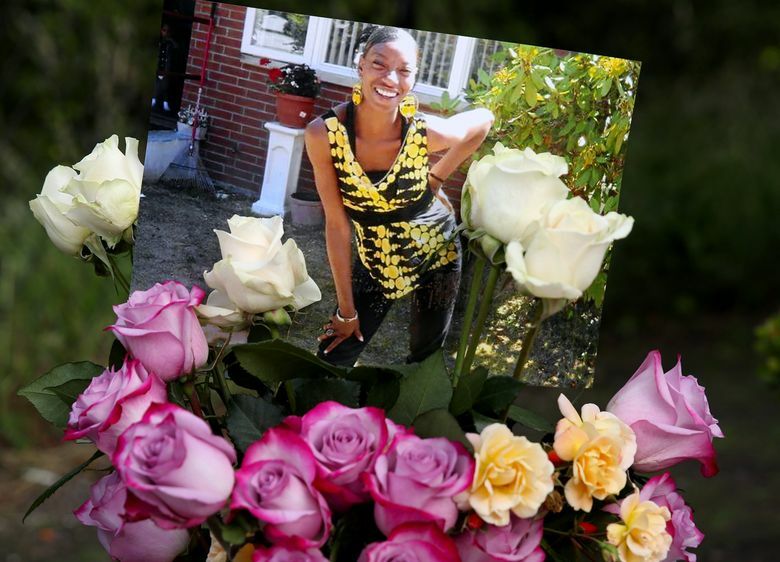 The nonprofit social-service agency that provided housing to Charleena Lyles has been added to a wrongful-death lawsuit previously brought against the two Seattle police officers who fatally shot Lyles in June. In new language added to the suit, Lyles’ estate and the appointed guardian for her four children allege that the agency, Solid Ground, failed weeks before the shooting to report to police a playground incident in which Lyles allegedly threatened children with a knife. The suit, refiled Wednesday by attorneys Karen Koehler and Edward Moore, also accuses Solid Ground of failing to provide adequate services to Lyles after she moved into its Sand Point housing campus in Northeast Seattle in November 2015. Lyles, 30, was shot in her apartment on June 18 by Seattle police officers Jason Anderson and Steven McNew after she reported a burglary and, according to the officers, suddenly attacked them with one or two knives. Her death sparked protests, including allegations the shooting was racially motivated because Lyles was African-American and both officers are white. Also named in the suit is the city of Seattle. The suit alleges negligence on the part of the city, the officers and Solid Ground, as well as violations by the officers of Lyles’ civil rights. A Seattle police review board found the shooting to be reasonable and within policy. The alleged playground incident was partially described in an Oct. 25 Seattle Times story, which revealed that a Solid Ground employee went to law enforcement shortly after the shooting with allegations the nonprofit had failed to report the incident to police. According to the amended suit, Solid Ground received an incident report from a resident May 30 stating that during Memorial Day weekend, in the outdoor playground at the housing complex, a child asked Lyles to return a video game she had borrowed. Solid Ground didn’t notify police and social workers, nor did it interview Lyles and all witnesses, the suit alleges. The agency also didn’t consider whether Lyles — despite knowing she likely had mental-health problems — could be in a mental-health crisis, according to the suit. “Solid Ground should have reported the playground incident to law enforcement and/or mental health professionals so that they could have determined that Charleena Lyles was suffering from a mental disorder and presented an imminent likelihood of serious harm or was in imminent danger because of being gravely disabled,” the suit says. Had Solid Ground reported the incident, the suit alleges, it is probable there would have been police and mental-health intervention. Even before the incident, Solid Ground failed to provide required care, the suit says. After initially providing Lyles a case manager, who arranged counseling with a family and child therapist, the case manager left with no contingency plan, according to the suit. As a result, there was a six-month gap — between Sept. 28, 2016, and March 29 — before a new case manager was assigned, the suit says. The gap contributed to her becoming “disconnected” from the program and, by May 15, Solid Ground noted Lyles and her family were “falling through the cracks” and not getting adequate support, according to the suit. By May 29, Solid Ground staff noted Lyles was exhibiting paranoid behavior, angry outbursts and more arguments with neighbors, the suit alleges. Details that correspond to the suit’s description of the playground encounter are contained in a Solid Ground Incident Report, a copy of which The Times obtained from the King County Prosecuting Attorney’s Office under a public-disclosure request. Seattle police received a tip about the incident June 23, according to other records submitted by Seattle police to the prosecutor’s office, which is reviewing the officers’ actions and preparing for an April 16 inquest into the shooting. The tipster, who identified himself as an employee of Solid Ground, reported that a staff member had taken a report from a resident regarding Lyles “having pulled a knife on a ten-year-old boy and threatening to kill him,” a Seattle police detective wrote in a report. The employee reported that the staff member had reviewed a video of the incident, contacted the alleged victim and completed an internal report but didn’t contact Seattle police, according to the report. In response to the Times’ Oct. 25 story, Solid Ground, through spokesman Mike Buchman, earlier said that on May 30, a resident of the complex, based on a child’s account, told a staff member about the incident. The staff member wrote an internal report that was submitted the next day to two supervisors. The supervisors spoke to residents who related they didn’t want police to be involved, Buchman said. The supervisors also tried without success to find video of the incident purportedly recorded by a juvenile, he said. About a week after the incident, police were dispatched to a domestic-violence call at Lyles’ apartment. During that incident, she brandished a pair of 12-inch scissors, telling two officers they “would not be leaving today,” according to a police report. Lyles was arrested and held until June 14, when she was released with court conditions pending further court proceedings. Four days later, she was fatally shot by the two Seattle officers. In a recent statement posted on its website, Solid Ground said, “We have been informed by our attorneys that the lawyers for Charleena Lyles’ estate are in the process of adding Solid Ground” to their lawsuit. “We are proud of our work and we continue to provide services to over 450 residents of our Sand Point Housing campus. Charleena came to Solid Ground seeking a more stable life for herself and her family. We supported her goals and honored her self-determination,” the statement said. “Charleena’s death was a tragedy. To now sue Solid Ground not only worsens this tragedy but seeks to diminish the hard and effective work of our dedicated staff,” Gordon McHenry Jr., Solid Ground’s president and chief executive officer, said in the statement.